Now that Star Trek Beyond has been in theaters in the USA for a few weeks, we have lifted our ban and bring you a SPOIL-FILLED episode. 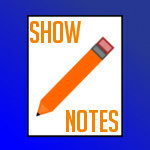 We discuss the plot and our takes on the movie and how it fits in with established Prime canon and the other Kelvin movies. In our Subspace Channels question we ask Star Trek fans if they could name their own starship, what they would call it and reveal the names of our own ships. 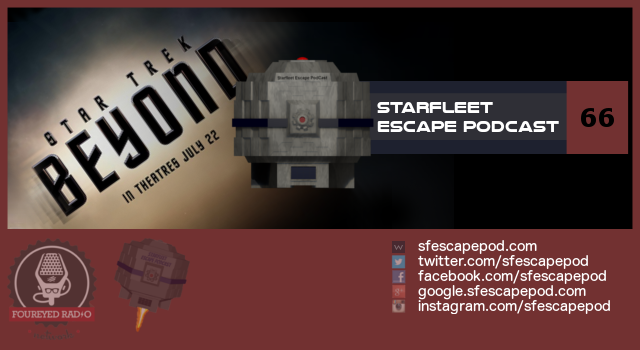 So sit back and enjoy the ride as we blast off once again to escape into the Star Trek Universe with the crew of the Starfleet Escape PodCast.